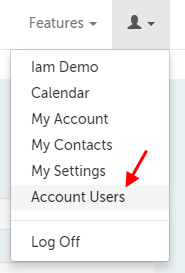 This support article illustrates how an Account Administrator can delete an existing user. 2. Use the "Delete" button on the same row as the user you wish to delete. 3. On the message that appears, use the "Delete User" button to confirm you wish to delete this user. This article was last reviewed by our Support team on May 9, 2016.